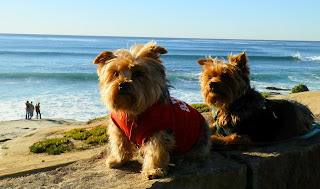 beach life at Wind and Sea, a world famous surf spot. back from the Depression to the Civil War. Theater life is fertile and varied. Northcoast Repertory Theater near us is presenting a lauded production of Willy Russell’s “Educating Rita” -- I interviewed Michael Caine for the film version years ago -- and we’ll soon be among the audience for “Clybourne Park,” downtown at San Diego Rep. The work won both the Tony for best play, and the Pulitzer Prize. Sunday’s matinee featured Hershey Felder in “An American Story,” a wonderfully imaginative and prodigiously researched work written by and featuring Felder. 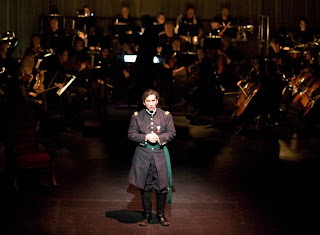 The one-man-plus-orchestra show tells the true story of a young Army surgeon Dr. Charles Augustus Leale, who happened to be in Ford Theater that fateful Good Friday, April 14, 1865, when Booth shot President Lincoln. The character tells his tale from the perspective of a 90-year old man looking back. Felder imbues his doctor with grace, wisdom and a sense of irony. The venue, the 1928 Birch North Park Theatre, reminded Cookie of the old 1931 Billings Fox which was in its glory when she saw the greats perform in Community Concerts as a child growing up in the 1950s. Among the distinguished retinue to pass through Billings: the Barrymores, Marian Anderson, Gregor Piatagorsky, Jascha Heifetz! Thanks to my parents and grandparents for seeing that a musical kid and her Columbus siblings were exposed to many of the great artists of the 20th Century. Wherever you are – in that lush concert hall in the sky – know that you made a Broadway baby and lifelong play and concert goer out of this redhead. Off to the seals, who are pregnant and basking in the warming weather. 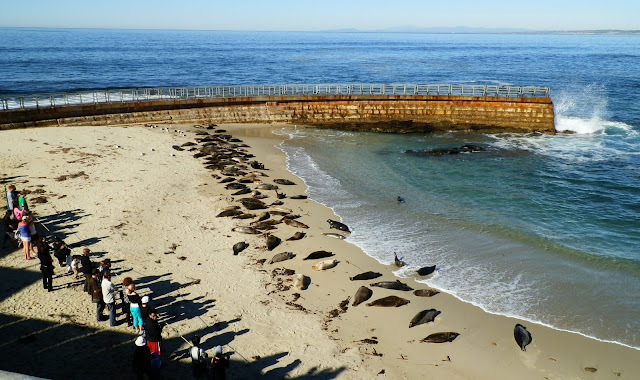 They’ve taken over the Children’s Pool, a protected water park donated by the Scripps family. That controversy is for another time, another story.